Seafood has always been a bit intimidating to me. The cooking and the eating of it. However, when we moved to New England, Scott and I began trying various seafood dishes, because how can you not when you live in New England. And it wasn’t so bad. In fact, it’s actually very good. Especially clam chowder. 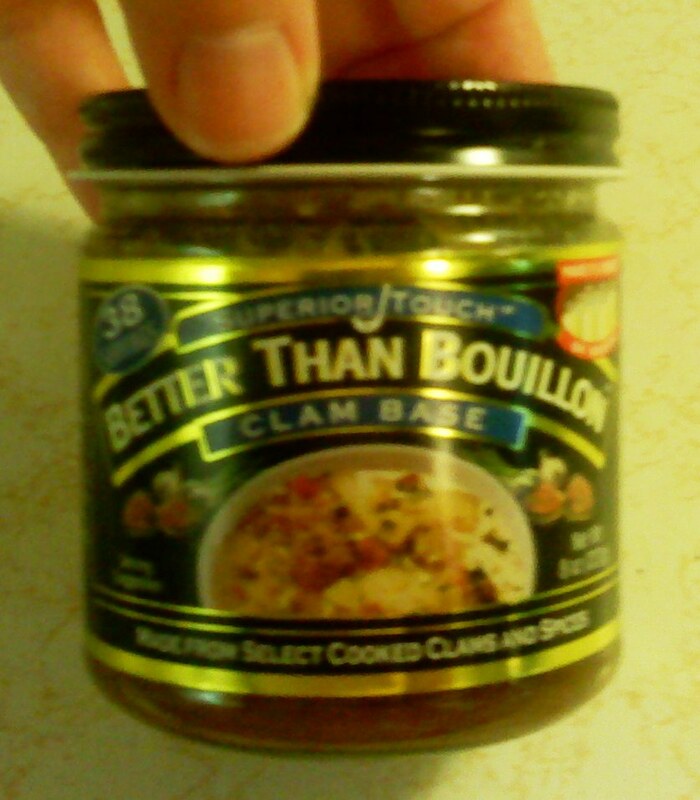 I cringe to admit that we lived in New England for three years and I never learned to make clam chowder. But now that we have a second chance to live so close to the coast, I am rectifying that situation. Oh yes I am. Although I’m still tweaking recipes that use fresh clams, or at least trying to, this recipe is great because it is quick, easy, and utilizes ingredients from the pantry…canned clams and clam base. Melt butter in large saucepan. Add flour, garlic and clam base. 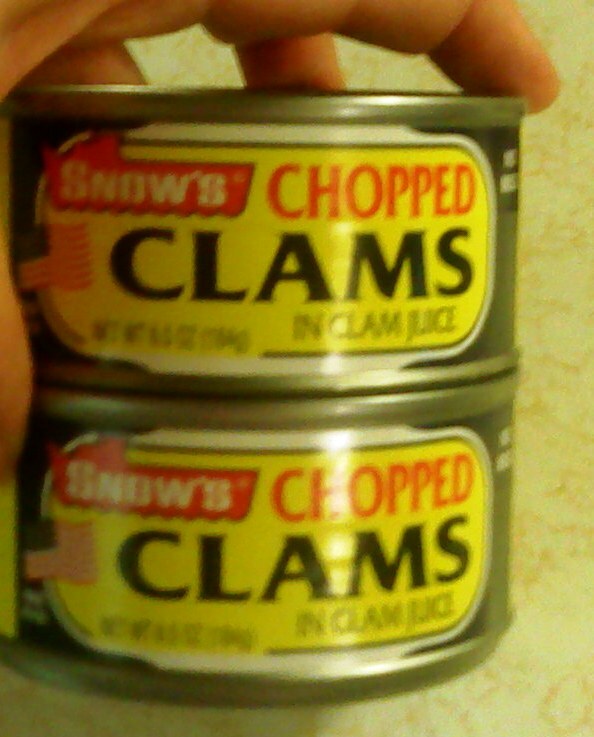 When mixed well, add clams with their juice. Slowly add 1/2 and 1/2 and cream. Add diced potatoes and bring to boil, then reduce to simmer. Stir regularly until chowder has thickened and potatoes are soft. Add salt and pepper to taste. I grew up on Cape Cod and Rhode Island. Sounds dee-lish! My husband made clam chowder for the first time a couple of weeks ago and we were all in heaven! Hi Léna. Thanks for stopping by!